Well built sailing cruiser, built by Danish shipyard Bianca Yacht. Interior is all in nice teak completed in Holland. She is currently berthed in France and available for inspection on request. She has been only use by private owner. 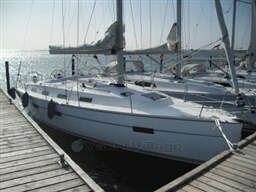 Dear Sirs, I have seen on YachtVillage your offer about Bianca Yacht Bianca 43 - 2003 (code: 259456). I am interested in the offer and would like you to contact me. Thank you.